Nice, isn't it? Completely untouched - not even so much as an initial of the original owner. This is probably what will happen to my own inadvertent agenda collection a few years hence! The clerk at the thrift store was amazed that I found this and wanted to purchase it (before he did, I suppose). "Magnificent! ", he said. And I wholeheartedly agree, it really is quite a cool find. The pages are easy to take out because the whole book is made up of smaller leaflets stapled together, so I can take out a whole folio sheet without too much trouble. I plan to use these for typecasting. The back pages have space to list one's budget and expenses, take notes, and preview the calendar for 1968. None of that address book stuff. 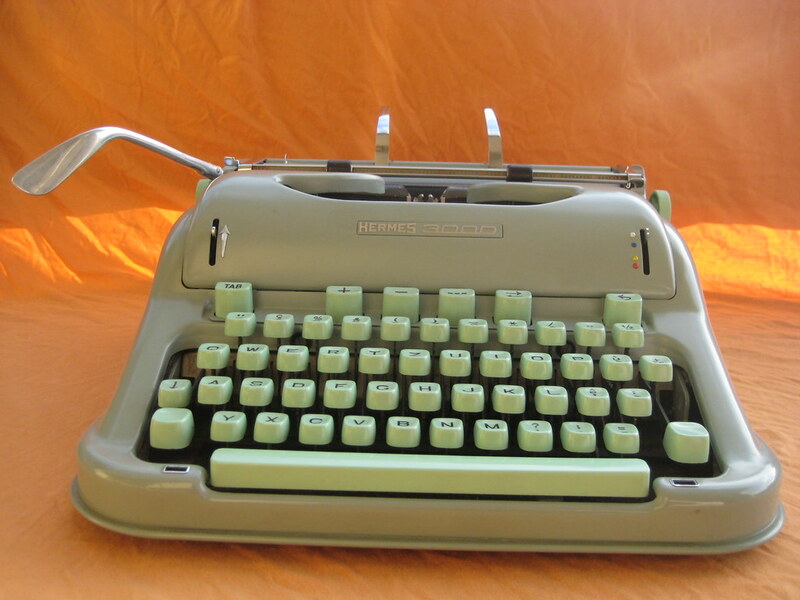 I'm probably being too harsh here, idealizing the days of typewriter innovation as a time when products stood still long enough that you could take a good, hard look at them. Arguably, we've had 45 years to examine the Hermes 3000 and conclude that it's fantastic, while the iPhone is still only about four years old (and has gone through a new version every single year). I think that there might be some genuinely great life-improving innovations out there that I would love to discover (it's 2010, after all), but between keeping up with the constant flood of new slightly-modified gadgets and trying to get back the 6539 hours I spent configuring Windows Vista to operate at an acceptable speed (it never happened, so I gave up and went over to OSX), I am just left numb from it all and want to never open another shrink-wrapped blister package of unmet expectations. This last was offered by a seller who actually spoke Arabic and kept addressing me as "Habibi". Some sort of story there, obviously, but I didn't stick around too long to find out. 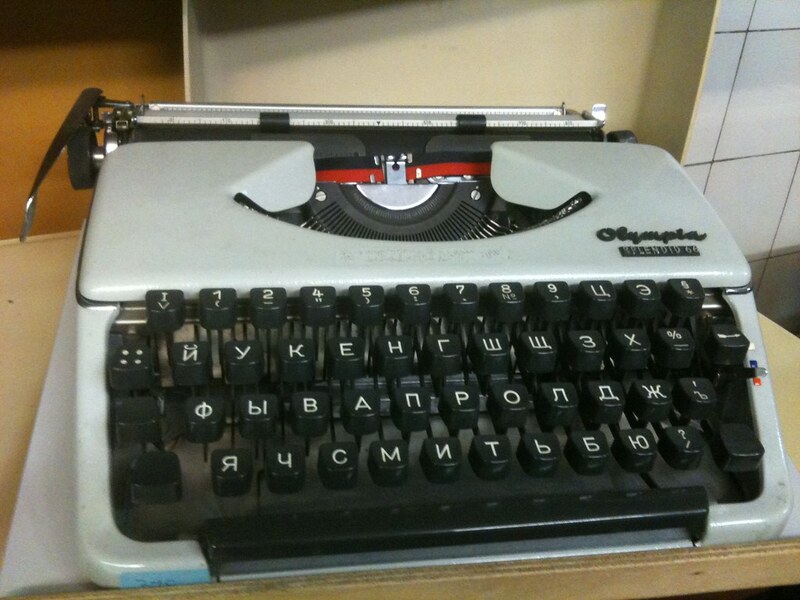 We've been fortunate to have a range of keyboard layouts represented in our collection, including a US QWERTY, UK QWERTY, Italian QZERTY, French AZERTY, German and Swiss QWERTZ (with at least three different variations for Swiss-German, Swiss-French, and German), and Spanish QWERTY. Even with the exact same language, there can be subtle variations - a catalog from Olympia detailing their range of keyboard layouts (which was reproduced in Beeching's Century of the Typewriter) shows at least six different versions of the Swiss-French keyboard alone. All the other languages have several versions as well, and one wonders how they kept track of all of them, or why they needed so many in the first place. 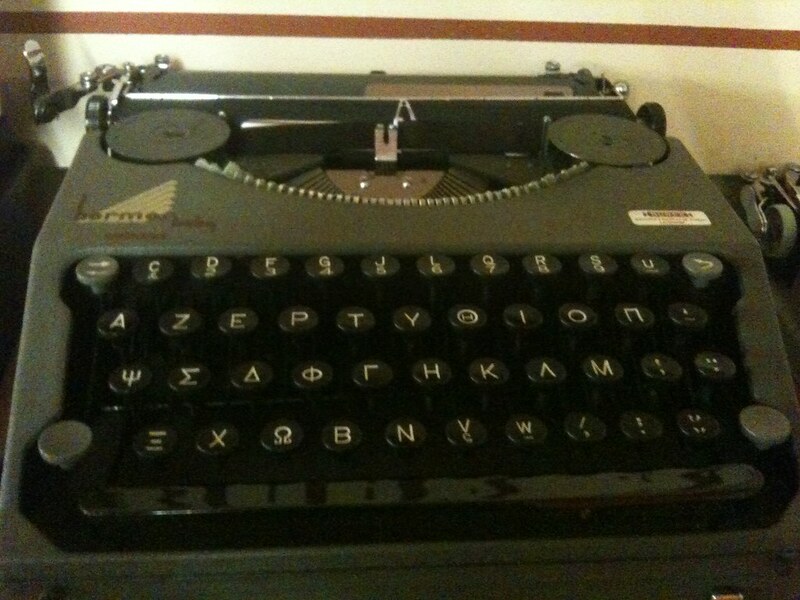 Besides the addition of an occasional "1" on a keyboard for a script typewriter, I cannot imagine the advantage of switching about the arrangement of the symbols and accents. More pictures from the museum here. I actually meant to write that the weather has been nice this weekend, but anyhow. How time flies! And I don't have the good excuse of hammering out a novel either, I have just been slacking off from the blog. 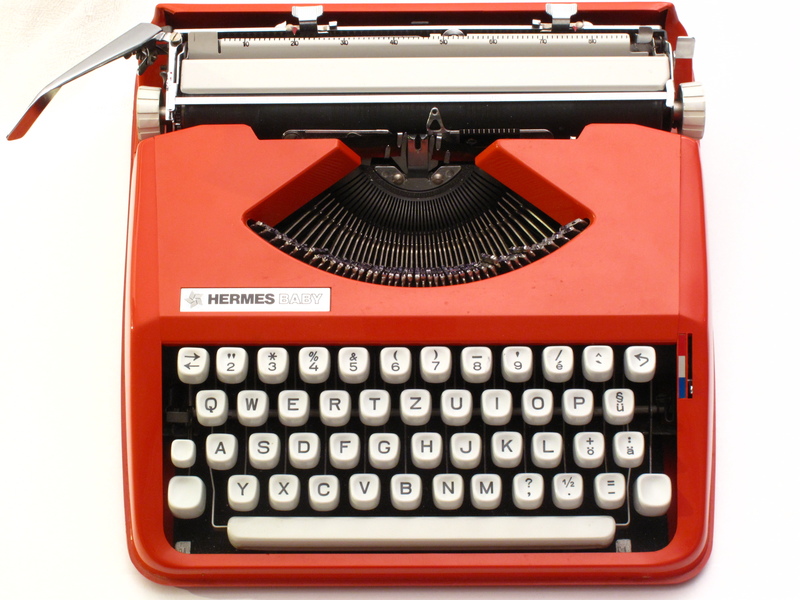 Well, no better machine to come back with than one that is especially dear to us (and many others too), despite - well, because of - its screaming red hue and thoroughly plastic construction: the Olivetti Valentine. When I first started out collecting typewriters earlier this year, my husband told me that he had grown up with a typewriter in his Italian home, a red plastic model that his father had won in a radio contest in 1969. Indeed, it was none other than ye olde Valentine. As the story went, my father-in-law composed his thesis on his brand new typewriter, and then stashed it away, unused except for the occasional envelope that needed addressing. I had been looking forward to adding the family Valentine to our collection, but it appeared my mother-in-law had designs on it as well. So we let her have first dibs, and set about scheming on how to get one of our very own for the collection. 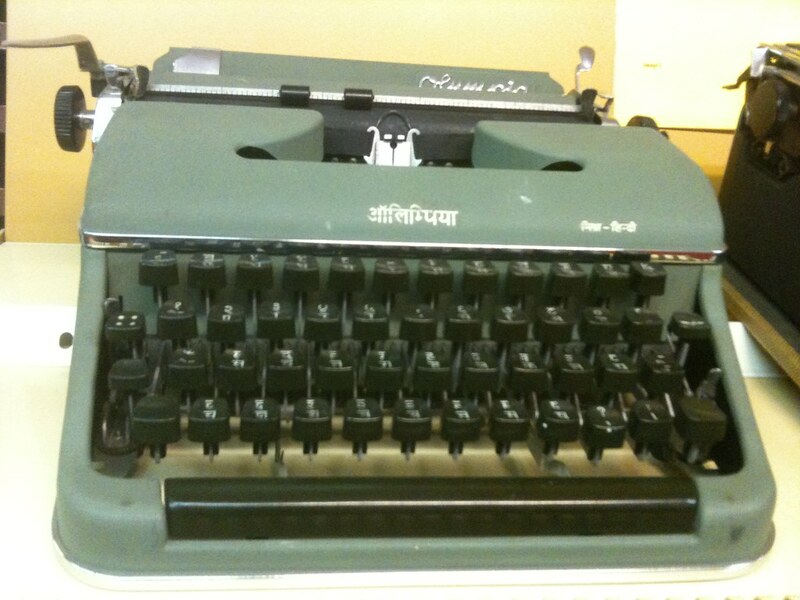 As anyone who's looked at Valentine typewriter auctions will tell you, they tend to command rather high prices. Once, in a fit of blind frenzy, I bid more than 120 euros for a particularly appealing specimen. Fortunately, I was outbid. Whew. This one was a lucky find. I think it was labeled just "red typewriter" or some such, and only my obsessive investigation of all the new auctions allowed me to discover that it was our much-sought after Valentine. Not a great specimen of it at that - one ribbon spool cover was missing (giving the machine the appearance of having been caught mid-wink), and there were a few black marks on the body that we were not sure could be removed. Luckily, those buffed right out in the end. It took a while to get here from Germany, but eventually it did arrive and a deep and thorough scrubbing followed a reverent unboxing. Fortunately, it works fine - especially after we gave up on those cool orange ribbon spool covers (what I wouldn't give to find a matching set!) and settled for ordinary nuts, spares of which we were able to acquire in Italy. 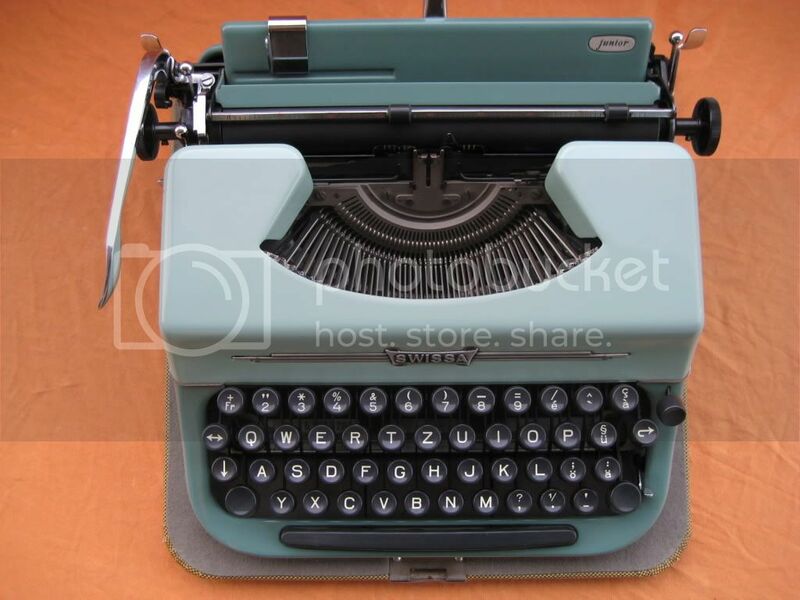 Mechanically, it's a solidly average - a bit of a rattle, as you would expect in such a plastic typewriter, and the usual Olivetti basket-shifted mechanism that was used in the Lettera 32, Dora, and many others. But no one really gets a Valentine to write with... do they? Ours spends most of its time enjoying the ambiance in its handy red bucket... er, case.